MarshallSoft Delphi serial communications component library for RS232 and multi-drop RS485 and RS422 serial ports. Use WSC4D to write applications to access data from serial devices such as barcode scanners, modems, lab instruments, medical devices, USB serial devices, scales, GPS navigation, fingerprint scanner, printer servers, etc. Features of WSC4D include: - Supports 256 ports. Can control multiple ports simultaneously. - Fully thread safe, port re-entrant, modem control, serial line status and control, ANSI emulation, ASCII/XMODEM/YMODEM. - Uses the standard Windows API to communicate with any device connected to a serial port. - Supports virtual serial ports (USB to serial converter, Bluetooth serial). 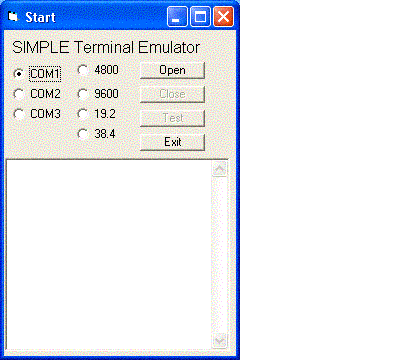 - State driven Xmodem and Ymodem on multiple ports simultaneously (up to 256 connections). - Can send Windows messages on completion of events (incoming character, etc.). - Includes over 43 functions plus modem control. Supports any baud rate. Ability to specify the parity, word size, and number of stop bits. - Includes multiple Delphi example programs. - Includes 32-bit (WSC32.DLL) and 64-bit (WSC64.DLL). - Supports Supports Delphi 2 through Delphi 2010, Delphi for .NET and Delphi XE & XE2. - Does not depend on support libraries. Makes calls to Windows API functions only. Can also use with Visual Basic, C/C++, .NET, PowerBASIC, Visual FoxPro, dBase, Xbase++, and COBOL. - License covers all programming languages. - Royalty free distribution with a compiled application. - Source code available. - Free technical support and updates for one year. - Online and print documentation. Supports Windows 95/98/Me/NT/2000/2003/XP/Vista/Win7. Fully functional evaluation version. Added functions SioQuiet() and SioWaitFor().